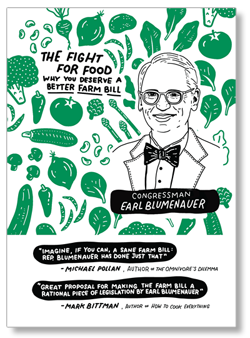 Stand with Earl Blumenauer for a Better Food and Farm bill! Chip in $3 right now -- and I'll send you a copy of my "Fight for Food" comic book! We're fighting for a more fair and equitable country, and we couldn't do it without your support. Together, let's stand for our progressive values -- and that means better support for our local farmers, sensible immigration policies, and protections for our environment.